When I was a junior in college, I studied abroad for a semester in Uganda. At the time, I was young, idealistic, and convinced that I was going to singlehandedly save the world. Obviously, that hasn't (yet) happened, and my time in East Africa was incredibly humbling. Perhaps the most humbling experience during my four months was the trip I took on my Spring Break to stay with a host family in the rural country. For seven days, I lived in a mudhut, took bucket baths and did my business in a hole in the ground. 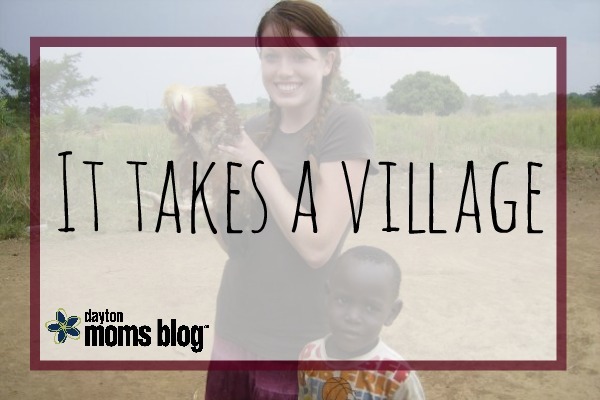 It was also during this time, that I really and truly witnessed the common phrase, "it takes a village," firsthand. ...Continue reading at Dayton Moms Blog!